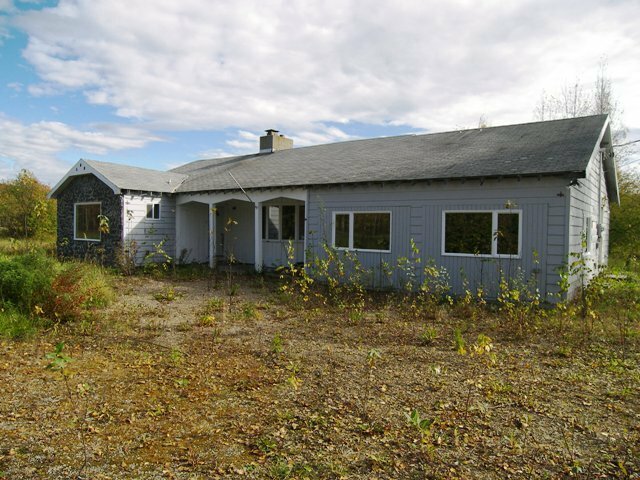 FIXXER-UPPER ON A BEAUTIFUL PIECE OF LAND ( 5.6 ACRES ). THIS HOUSE HAD BEEN FROZEN AND THERE IS MOLD AND A LOT OF DAMPNESS DOWNSTAIRS. WILL NEED A COMPLETE REMODEL FROM BOTTOM UP. ALSO INCLUDED IS A 2 STALL BARN AND LOTS OF CLEARED LAND FOR LIVESTOCK. THE DETACHED GARAGE WAS CONVERTED TO A NICELY DONE DRY CABIN AND CAN EASILY BE MADE LIVABLE. THERE IS A WELL THAT IS NOT HOOKED UP. PRICED 50% BELOW ASSESSED VALUE FOR A QUICK SALE. PROPERTY IS BEING SOLD AS-IS WHERE -IS WITH A AS.34.70 WAIVER. THE POWER IS TURNED OFF .